Â The Law on Denunciation supplements regulations on anonymous denunciation, cuts down the denunciation settlement process from five steps to four steps. 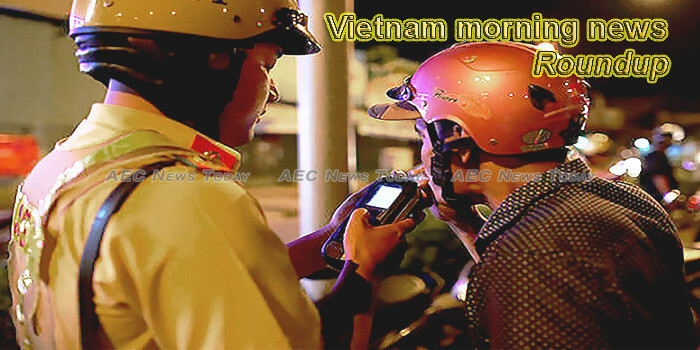 Vietnam will be short of 70,000 to 90,000 information and technology (IT) workers next year despite increasing salary and welfare, according to a TopDev, a recruitment network and ecosystem in mobile and IT, report on the IT market in Viá»‡t Nam. The Vietnam National Petroleum Group (Petrolimex) on January 1 announced decreases in petrol prices following a decision jointly issued by the Ministry of Industry and Trade and the Ministry of Finance. Three Vietnamese tourists were killed and at least nine more injured when their tour bus was blown apart by a roadside bomb in Egypt. Brazil’s Ministry of Industry, Foreign Trade and Services recently announced the initiation of a sunset review of anti-dumping measures applicable to motorcycle tyres imported from Vietnam, Thailand and China. A tropical depression in the Truong Sa Archipelago has gained strength and become Vietnam’s first storm of 2019. Dressed in the traditional Vietnamese long gown known as “ao dai”, dissident artist Do Nguyen Mai Khoi holds up a banner in a silent protest amid the roar of traffic in the capital’s Old Quarter. Locals of all ages in HCM City spent part of their time during the New Year’s holiday at amusement parks in the city. The Vietnam’s Ministry of Education and Training and The Embassy of Sweden in Hanoi, Vietnam have signed an agreement to boost cooperation in teaching and learning English in higher education in the 2018-2020 period. A majority of firms in the manufacturing and processing industry were optimistic about their production and business activities for the first quarter of 2019, according to a survey by the General Statistics Office (GSO). Vietnam’s participation in the UN’s peacekeeping mission is a breakthrough in implementing the Party’s consistent foreign policy of independence, self-reliance, peace, cooperation and development, stated Deputy Defence Minister Sen. Lt. Gen. Nguyen Chi Vinh. Â With certain advantages, Vietnam has been the destination for many multinational businesses to seek processors, and processing in turn have become a major growth engine of the economy. A national flag salute ceremony was held on January 1 in the country’s easternmost mainland point of Mui Dien in the south central province of Phu Yen. Â Improving the business environment and national competitiveness is a core policy priority of the Vietnamese Government in 2019. An enticing art performance took place in Nha Trang city in the central coastal province of Khanh Hoa on December 31 to welcome the New Year and announce the 2019 National Tourism Year. Vietnamese enterprises need to take the initiative and increase exports through official channels to China as Chinese consumers now demand higher quality products, experts say. Vietnam’s total outbound investment in 2018 was estimated at 432 million USD, according to the General Statistics Office. Vietnam needs to take action promptly, and if not, it may get old before it becomes rich, economists say.